Thank you! 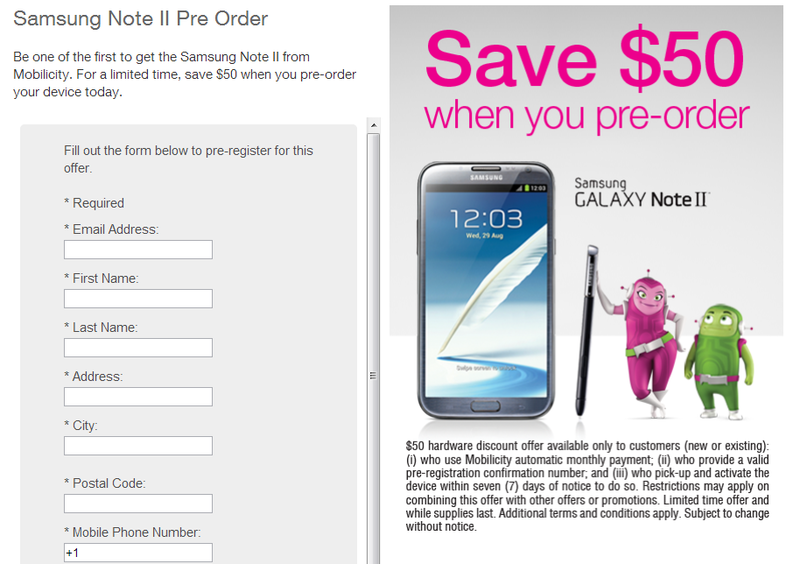 We have received your pre-order registration request for the Samsung Galaxy Note™ II smartphone at Mobilicity. You are on the list of consumers eligible to be the first Canadians to get this smartphone when it launches in Canada on October 30, 2012! 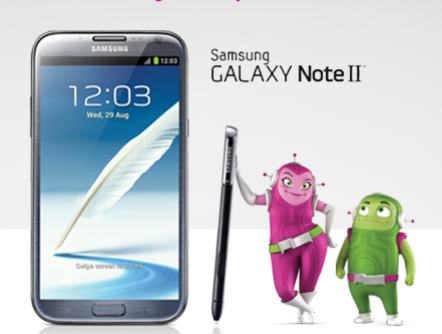 You can also receive a $50 hardware credit on the Samsung Galaxy Note™ II from Mobilicity if you are one of the first 1,000 people to purchase and activate your Samsung Galaxy Note™ II smartphone on Mobilicity's unlimited network and sign up for automatic monthly payments by November 6, 2012! Either way, at least now we know when Samsung's biggest flagship phone will land. Who's getting one? Update: But that's not all! Telus will also be launching the Note II on the same day, according to this press release. Other carriers that we know are going to launch the Note II in Canada include WIND, Videotron, and SaskTel. The latter three don't specify a date, but it seems reasonable to assume they will also launch on the 30th.